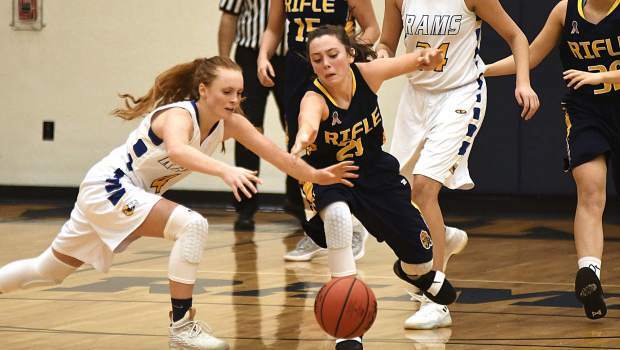 The Rifle Bears take on the Roaring Fork Rams during day two action of the annual Brenda Patch basketball tournament in Carbondale at Roaring Fork High School. Roaring Fork’s Joe Sakinas battles for the rebound as the Rams take on the Lutheran Lions Saturday at the Brenda Patch Tournament. Roaring Fork’s Caroline Wisroth put up a shot surrounded by Rifle Bears during fourth quarter action Saturday in Carbondale. The Rams beat the Bears 42-32 during second day action of the Brenda Patch Tournament in Carbondale. Lutheran’s Kyle Budnack secures the rebound over Roaring Fork’s Aidan Sloan in the first quarter Saturday in Carbondale. Raoring Fork’s Aidan Sloan gets caught in a trap between Lutheran’s Tommy Apodava and Aaron Morgan in the first quarter Saturday in Carbondale. 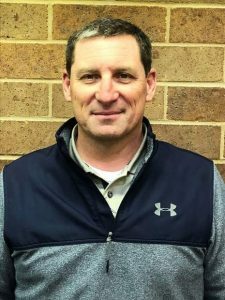 Rifle Head Coach Eric Caro knew coming into this season that his young team may experience some growing pains with a tough non-conference schedule to greet them and the always challenging 4A Western Slope League opponents lined up following the holidays. 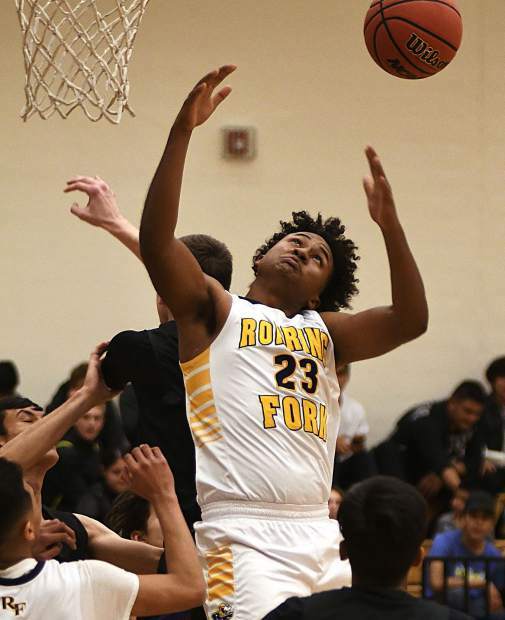 Despite Saturday night’s 42-32 setback to the Roaring Fork Rams in the annual Brenda Patch Tournament in Carbondale, Caro is more than excited about his new position as the Bears’ leader, and ready to meet all future challenges head on. 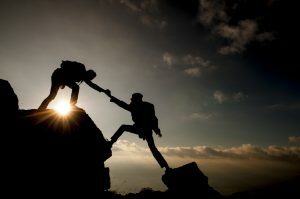 I’m excited for the road ahead of us. There were three freshmen out there tonight who have been working hard. 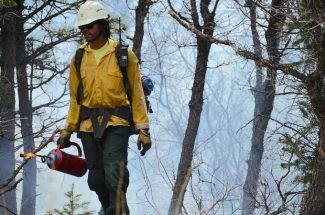 This entire team is about hard work. Our motto this season is grit and grind,” Caro said. Using relentless full-court pressure to begin the contest, the Bears jumped out to a quick 6-0 lead on a driving basket from the left side by senior post Masi Smith. Smith was fouled on the play and converted the ensuing charity toss. 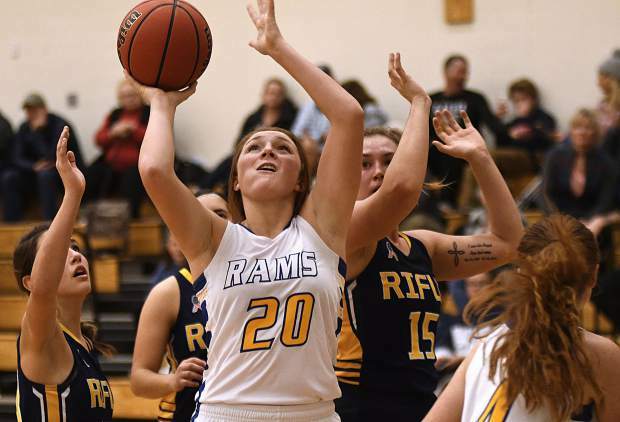 The shots were not falling early on for the home team, but the Rams managed to end their scoring dry spell with 4:28 to play in the first quarter when junior Caroline Wisroth scored from close in to get Roaring Fork jump started. Rifle’s Jamie Caron hit a 3-pointer to extend the visitors’ advantage to 9-2. A couple of free throws by Rams senior point guard Logan Erickson and a basket in the key by junior Isabella Hernandez to start the second period drew Roaring Fork within 14-11. Rifle’s Danielle Doll hit a 3-pointer which was answered by the Rams’ Emily Broadhurst on a short jumper as the teams headed to intermission with the Bears holding a 17-16 lead. The third quarter proved decisive for Roaring Fork as they came out of the locker room fired up and outscored the Bears 15-8 in the 8-minute stanza. Erickson started the scoring burst with a 3-pointer from straight on. Then it was Broadhurst’s turn to grab a couple of steals and convert them into lefty layups. Sophomore Maya Lindgren scored inside to put the Rams up 29-23 as the Bears were forced to play catch up. “We did come out more confident in the second half. They were a little physical to start the game, but we adjusted well and started to find each other more on the offensive end,” Erickson said. 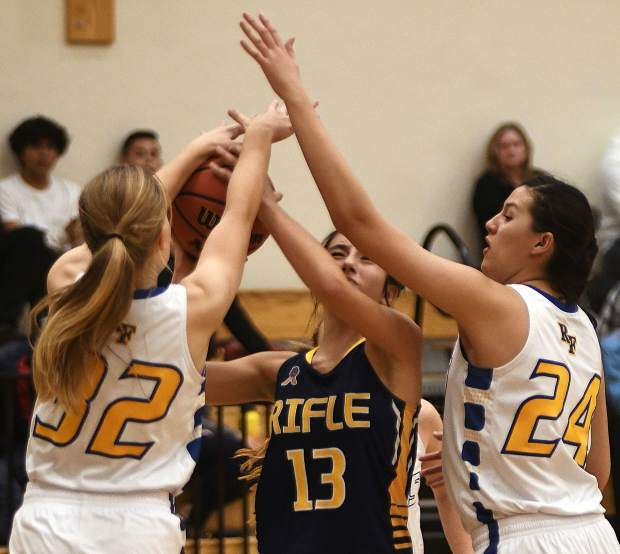 Smith scored on a determined drive to the basket for Rifle, but senior Kendall Bernot answered with a scoring gallop to give Roaring Fork a 31-25 lead. 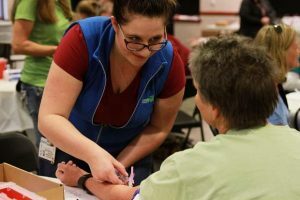 With senior post Gabriela Santana grabbing every rebound in sight for the Rams, the Bears faced an uphill battle in the fourth quarter as they watched Roaring Fork increase their lead into the final margin. Smith led Rifle in scoring with 14 points while Erickson tallied 15 points for the Rams. The Roaring Fork girls (2-0) will be back in action Thursday on the road at the Weld Central Tournament. Boys: Lutheran 74, Roaring Fork 54. Using a distinct size advantage under the basket, the Lutheran Lights, coming off a narrow loss to Coal Ridge on Friday night, raced out to a 36-23 lead at halftime en route to a 74-54 win over Roaring Fork in Saturday night’s final game of the Brenda Patch Tournament. Playing without the services of post player Joe Salinas who suffered a sprained ankle in the game’s early going, the Rams had trouble with the height and scoring of Lutheran’s inside duo of Aidan Potter and Matthew Thompson all game long. 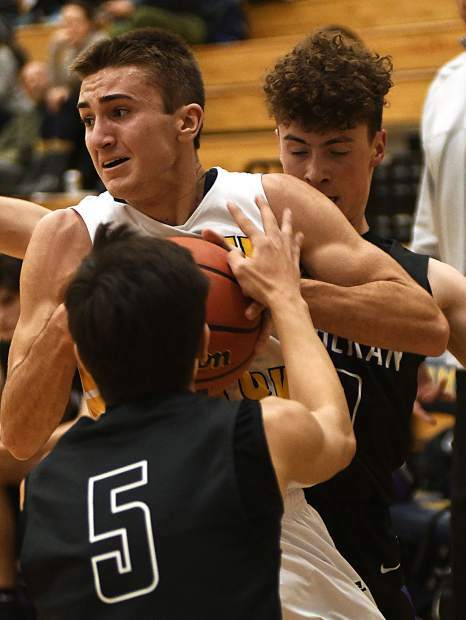 The Rams Aidan Sloan, who contributed 11 points to the Roaring Fork cause by halftime, battled the taller Lights in the paint, but without the presence of Salinas, it was a tall mountain to climb for the undersized Ram senior. 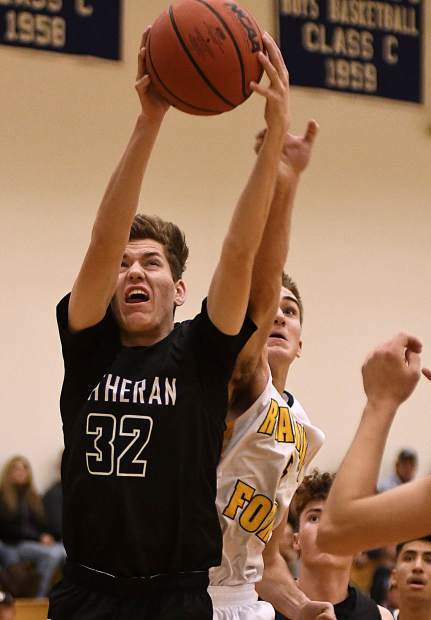 Oscar Miranda contributed a couple of timely 3-pointers for Roaring Fork, as did Graham Pietsch, but with Lutheran taking a 20 point advantage into the final period of play, the outcome had all but been decided. The Rams (1-1), of veteran coach Larry Williams will be back in action on Friday when they will face another stiff challenge against Resurrection Christian.